The neutral setting of the rooms at the Akshara will instantly make you feel at home. 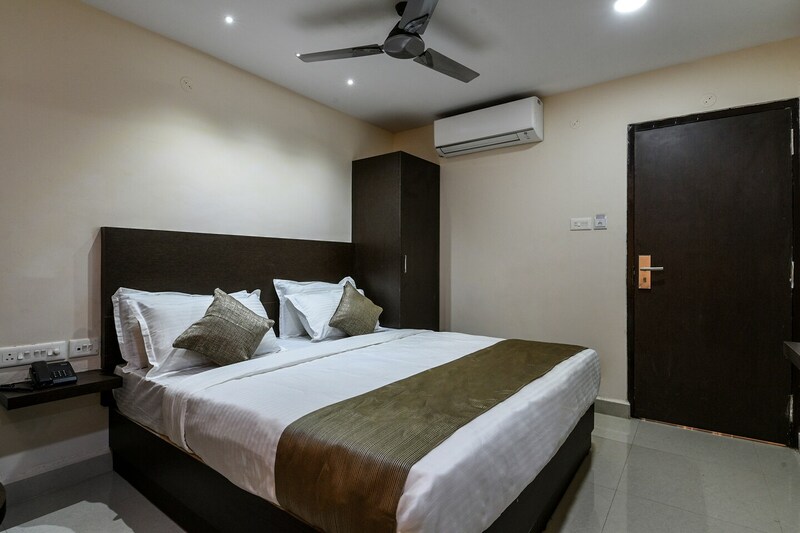 Neat lines and just the right amount of furnishings will help you have a comfortable stay along with all the amenities like TV, complete power backup and free wifi so that you remain connected at all times. The VMRDA park with all its verdant greenery also lies very close to the property so that you can step out for some entertainment. A number of restaurants and cafes are also nearby so that you can step out to sample some local and other kinds of cuisine.